Hello? 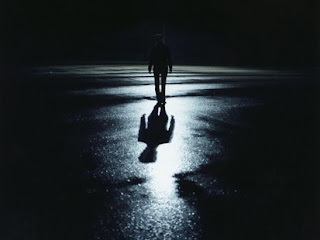 Is anybody there? Come on. Somebody. Please answer. I'm all alone here in the dark, and want to tell you about this film my mate Michael made. Ironically enough, it's also set in the dark... the film I mean. And, well, it's here, alive, and ready for you to... to... hmmm? Who's that? I can hear something moving. Something... THUNK!... Arrhhhhhhh!!! 1) What are your own origins, Michael? My mother tells the tale of taking me to see BENJI when I was around one-year-old, and how I almost got us thrown out of the theater by barking at the screen, so there was clearly a strong film connection from the beginning. From there, I became deeply fascinated by Saturday morning monster movies, both Universal and Hammer, and then became an undeniable child of Spielberg and STAR WARS. At twelve, 80s horror movies held me under sway (mainly Carpenter, Dante, Raimi, Cronenberg, Stuart Gordon), then in high school, when everyone else was watching John Hughes, I was devouring Hitchcock. This led to film schooling and the 90s independent film movement, then a move to Arizona, more schooling, plus some work in the local production industry, and, finally, the opportunity to make my own movie, IN THE DARK. That’s far from the end of the story because it would be another decade before the movie finally found release! 2) What inspired you to create ‘In the Dark’? And what is your roll within this production? The producer, Bret Granato, and I were both doing work for a Phoenix production company called New Horizons Film and Video, and the owner, Matt Dejesus, was generous enough to offer the use of his lighting equipment, so we knew the opportunity was there to make something. 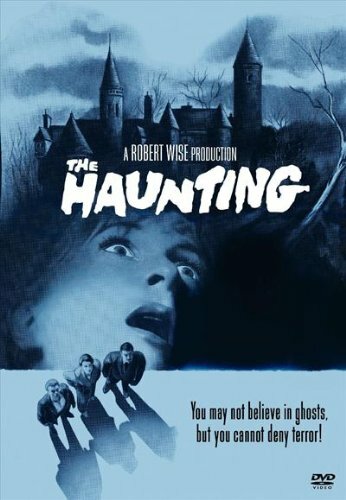 During my annual October horror movie marathon, I watched Robert Wise’s great, THE HAUNTING, looked around the house we were living in, and was struck by the idea of doing an ultra-low budget ghost story. The details fell into place pretty quickly after that. I wrote the screenplay, directed, edited, and played one of the three leads. It ended up taking about two years of filming, mostly on weekends, to get the thing finished. 3) In your own words how would you describe this film? IN THE DARK is a good ol’ fashioned ghost story, inspired mostly by THE HAUNTING (1963 version) and the films of John Carpenter. 4) What song would you say best represents this flick and why? There are two, really, and both are in the movie. One is called “Feel at Ease”, written by Chris Candito, and the other is “Shine”, by my brother, Chris Mortimer. 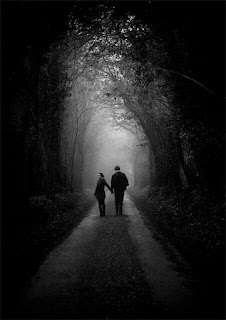 Neither was written for the picture, but both in their own way sum it up beautifully. “Feel at Ease” becomes kind of the ghostly theme song, and there is some irony between the words and what happens in the story, because unease is the overriding emotion here. But it’s about someone longing for peace, which is one of the themes of the movie. “Shine” is about moving your way through the darkness to find the light in life, and how each moment offers an opportunity for salvation, not necessarily in a religious sense, but on a personal level. Again, a theme of the movie. 5) If you could get a celebrity – either living or dead – to promote your wares, who would you choose, and why would you want to choose this particular person? Alfred Hitchcock! His movie-making brilliance was almost equaled by his penchant for self-promotion and he was very adept at finding the humor in the most gruesome subject matters. 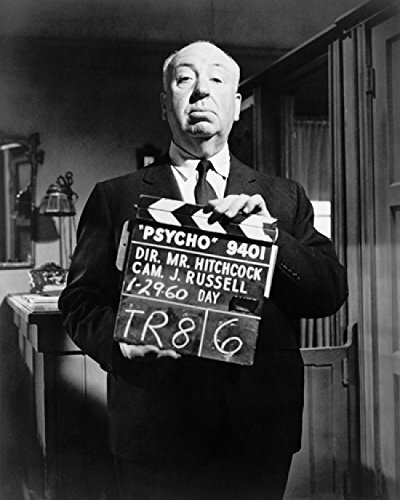 He knew that even the scariest of movies should be entertaining, and that people go to see these kinds of movies for the very purpose of finding release for those fears. I’m not saying that he’d like IN THE DARK, but I’m sure he could sell the hell out of it! 6) What have you learnt about yourself through this endeavor? This project taught me a ton about myself and how little I really knew, compared to what I thought I knew. And not just about movie-making, but life. By the end of production, I had become pretty insulated and obsessed, which to a degree is necessary. But I had done a good job of alienating most of the human race and lost all objectivity, which is not the way to find a foothold in the movie world. I had never managed to get IN THE DARK in the shape it needed to be to find any amount of success, even as a springboard to another project. When, a few years down the road, the trailer for the movie won an award -- I pretty much wrote it off as the best it would do. I never gave up, though, and in the intervening years continued to write screenplays, always trying to get projects off the ground. Most importantly, I learned a bit of humility. I don’t regret any of it, as I’ve now got a five-year-old son, who’s the light of my life, and I find myself about to achieve a master’s degree in creative writing, focusing on screenwriting, which promises a lot of opportunities. I’ve gotten my mind right, and doors have started to open. And now, ten years on, I was finally able to find the objectivity necessary to make a cut of IN THE DARK that is worthy of release. So far, reactions have been positive, and it’s gratifying for so much hard work to make its way to an audience. Basically, the themes that I wrote about in the movie are what I had to apply to my own life, and I know I’m much better off for it. 7) During your time in this field, what is the one thing that has kept you in good stead? This is the easiest question to answer. It's my unwavering passion for cinema! 8) If ‘ITD’ had a motto, what would it be? Face your fears and do everything you can to reverse the flow of negative energy. Well, you heard the man, people! Face your fears. Reverse the flow of negative energy. But most importantly of them all, check out Michael's movies by visiting his own personal facebook, youtube, and vimeo pages.